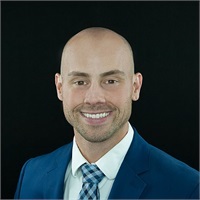 Michael Cirelli | SAI Financial Services, Inc.
As an advisor at SAI Financial, Inc., Michael Cirelli strives to help clients fulfill their overall financial needs through customized investment management and insurance services. Since joining the firm, Michael has brought his passion for finance to help clients achieve their financial goals in a timely and efficient manner. In addition to his visionary talent for planning, Michael utilizes cutting-edge technology to more effectively help clients understand the markets, their financial plan and investment portfolios. Michael is currently completing study for the Certified Financial Planning™ accreditation, and holds his FINRA Series 7 and 66, along with his life and health insurance licenses. Michael earned his Bachelor’s degree in Economics from Illinois State University, where his entrepreneurial spirit excelled in structuring a successful equity portfolio including research and trading. This foundational experience taught Michael the value of risk management and showed him how to mitigate potential risks through various diversification and hedging strategies. Today, at SAI Financial Services, Inc., he applies those principles by carefully researching the best investment options for his clients, striving to help achieve their financial goal to retire comfortably and with confidence. Michael frequently publishes finance-related articles for a variety of publications, asserting his commitment to client education on topics of retirement, insurance, tax strategy and more. Michael is currently licensed to conduct securities business in Alabama, Arizona, California, Connecticut, Florida, Georgia, Iowa, Illinois, Indiana, Massachusetts, Minnesota, Ohio, Pennsylvania, South Carolina, South Dakota, Texas, and Wyoming.